Power through your Call of Duty mission! The Stand Steady X-Elite Ergonomic Gaming Chair | Racing Chair offers the cushioned support you need for a gaming session that lasts into the wee hours of the morning. 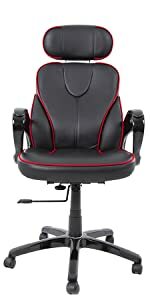 A laundry list of gamer-focused features guarantees this computer gaming chair is not like the others. 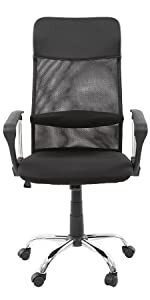 Highlights include anti-skid foot grips, generous arm rests and 360 degrees of swivel. It also offers tilt tension control, tilt lock, plus upgraded casters that roll easily and won’t harm hardwood floors. The premium black PU leather upholstery features eye catching red accents and is extremely durable and easy to care for. That way, you can eat your Cheetos and game on! GAMER FOCUSED: Nonskid foot grips, pneumatic height adjustment, tilt lock, tilt tension control, 360 degrees of swivel, and high-quality wheels help make this the best gaming chair out there. COOL & COMFORTABLE: This isn’t your dad’s Atari stool! Stand Steady’s premium video game chair lets you take a break from your responsibilities and enjoy your gaming experience while wrapped in cushioned luxury. 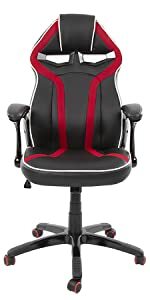 Plus, the red and white accents make this chair way cooler than all of those other gamer chairs out there! SUPPORTIVE HIGH BACK: Just like the driver’s seat in an F1 car, our racing chair provides full coverage and wraparound support. The ergonomic high back will keep you from slouching and help maintain good posture all day, night and even into the morning. 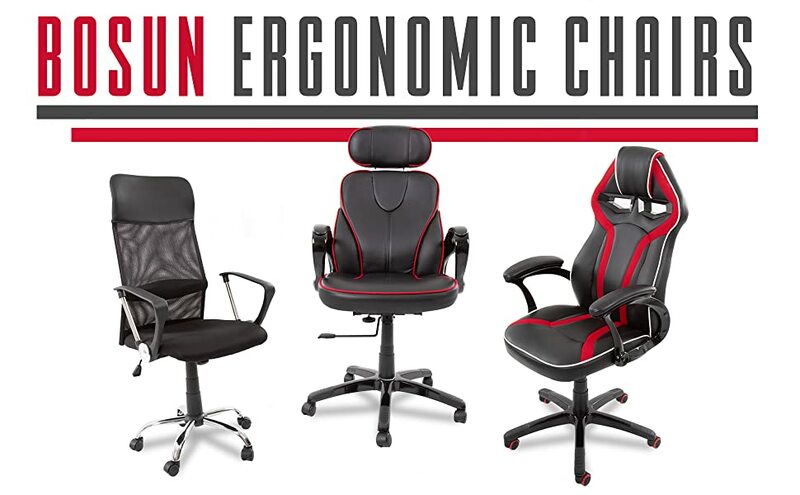 LUXURIOUS ARM RESTS: We want to support you while you’re playing several hours of Forza! Generously sized arm rests with plush padding provide the support you need to hold your controller deep into the night. BUILT TO LAST: PU leather upholstery is resistant to wear, and easy to clean! Don’t worry about spilling your drinks or snacks and stay focused on the important things, like Fortnite.